Jack Astor’s Bar & Grill is a Canadian based casual dining restaurant chain. The menu is not typical pub food and includes a variety of food choices to please everyone in your group. Jack’s is keen on offering dishes that are influenced by a variety of tastes. They offer burgers, sandwiches, pizza, and chicken. Be sure to stop in for lunch or dinner. No, Jack’s did not forget about the kids. Jack’s has a special menu for those diners 10 and under. Cold beer, cocktails, and specialty drinks are always available a the bar. All Jack Astor’s locations feature flat-screen TVs so you can watch any live sporting event you want. A lively atmosphere and thumping music beats are always served up at Jack’s. Below are Jack Astor’s menu prices. Jack’s gives you the opportunity to reserve a table online for a time that is convenient for you. Walk-ins are welcome all the time. All locations are open at 11:00 am till 2:00 am. Visit Jack’s often as they are always celebrating something. It could be the Super Bowl, Valentine’s Day, Winter. It doesn’t matter. Jack’s cares that you come in have fun, enjoy a great meal, and leave fulfilled. You know that being Jack’s friend has benefits. Don’t delay and become a Jack’s VVV.I.P. member. It’s free and you will get special treatment and exclusive offers. It only takes a few minutes to join and the relationship lasts forever (maybe forever is a stretch). Looking for a way to snag a free meal. Give someone you know (this is the preferred method) Jack’s gift card and strongly suggest that they invite you (please, no physical harm needed). Jack’s gift cards are great and easy to get. You can purchase plastic cards online or at each Jack Astor’s location. If you really want to impress, send an e-card and the lucky person will get the gift card in their email inbox minutes after you press SEND. If you are high energy, enjoy interacting with people, and love to make people laugh, you should talk to Jack. Jack’s is always looking for hard-working individuals to join their team. Check out the Careers page on the Jack Astor’s official website. There you will learn about current openings, compensation, and benefits package details, and training programs offered. The first location of Jack Astor’s Bar & Grill opened in St. Catherines, Ontario in 1990. Today there are 41 locations across parts of Canada and one location in Buffalo, NY. Jack Astor’s philosophy is simple- offer amazing food that is served by great people. Be sure to connect and follow Jack Astor’s through various social media platforms. Jack Astor’s parent company is Service Inspired Restaurants Corporation, headquartered in Burlington, Ontario. Service Inspired Restaurant is privately held Canadian corporation that owns and operates a diverse portfolio of restaurants. 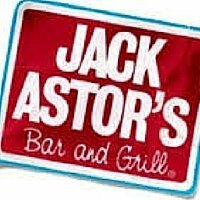 To learn more about Jack Astor’s Bar & Grill, visit their official website.